Developed by Landfall and tinyBuild, Clustertruck is a 3D physics-based platformer video game, available for the Windows, Mac OS X, Linux, PlayStation 4, and Nintendo Switch operating systems. 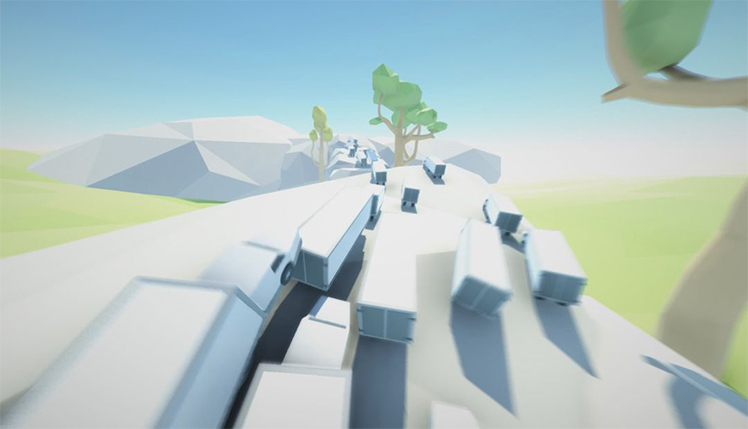 Trucks drive wildly through a variety of scenes while players jump from one to the next. Avoid falling off, and don't touch the ground either! 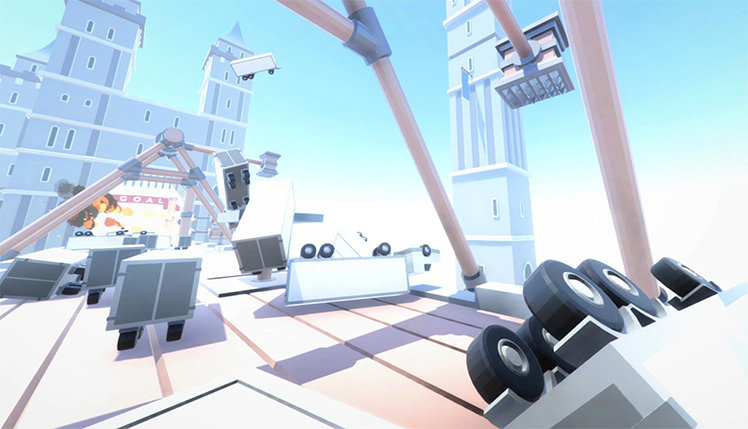 The wacky physics and high speeds make this action-packed platformer one heck of a ride! Jump from truck to truck and beat the levels. The further through the campaign players progress, the more difficult and insane the obstacles become. Watch out for swinging hammers, axes, and other deadly traps! Experience epic crashes and brutal defeat through various ways of death. Additionally, the video game has a built-in level editor for hours of endless fun. The online support means a great community awaits as well. There's many different ways to play and things to do. The campaign starts out with the basic controls. Master them quickly, because the levels start getting crazy. Worry not, though, for there is help available in the form of abilities. Players swing from truck to truck and get ahead of the curve with the grappling hook. Slow down or stop time completely while catching up from almost certain doom. There are lots of options available! There's even a leaderboard where players can compete against each other and see who scores the highest on any of the campaign levels. Another one of the great features is the in-game level editor. Steam offers support so that players can all share and experience other levels. Sling trucks across the Arctic ice in a speedy race for survival. 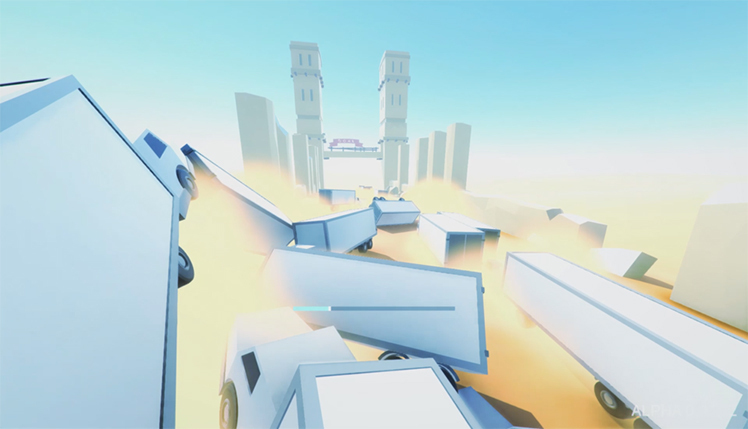 Drop explosions and watch trucks fly while trying to climb up before it's too late. Add lasers for that futuristic touch. The building possibilities are endless! With the Steam workshop, users can share their creations. Play other levels while honing those dodging and jumping skills. Finish the fastest and rank on the leaderboard. Compare scores with friends and earn bragging rights with wild physics jumps! 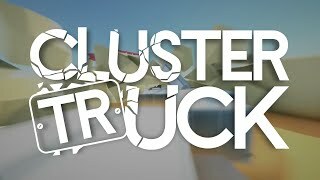 Clustertruck is a wild ride through and through. 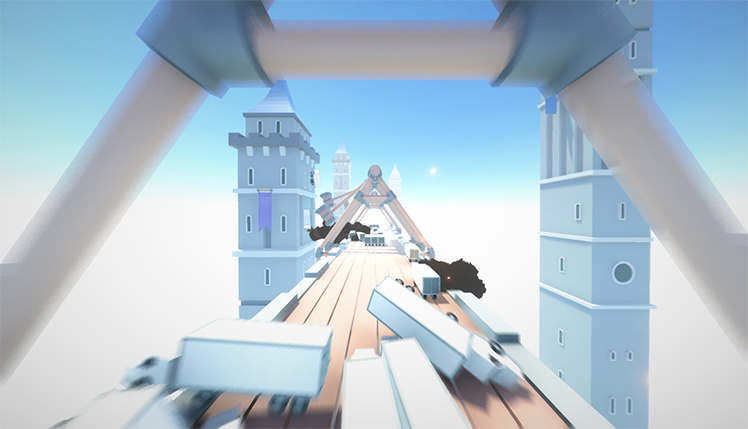 Players rely on skill and speed as they jump on the backs of trucks to avoid falling to a painful death. Avoid tons of different traps like lasers, flamethrowers, and giant hammers. The levels get crazier the further players go. Take a break from the madness and create something totally unique. Create some truckin' madness and share it with other players. Practice hard and get on the leaderboard for the ultimate bragging rights. Laugh at the wacky physics over and over again while exploring unique levels with wild mechanics. 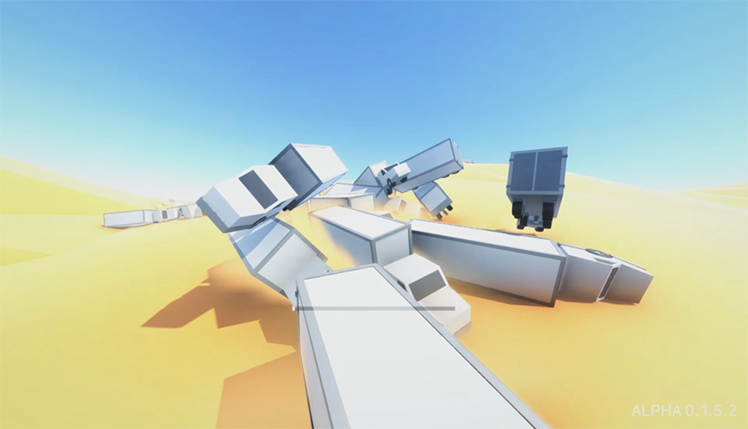 Die in epic ways and feel awesome pride when accomplishing tricky jumps. This platformer has lots to offer with its smooth 3D style! 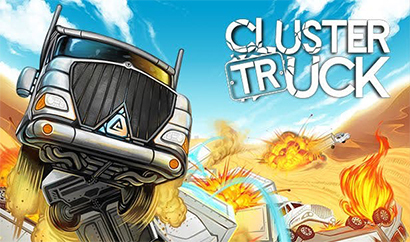 Clustertruck is one wild ride! Jump from truck to truck and beat the levels, but watch out for swinging hammers, axes, and other deadly traps. © 2018, Landfall. Landfall logo, Clustertruck, the Clustertruck logo, are trademarks or registered trademarks of Landfall. in the United States of America and elsewhere. All rights reserved.